Unruly founder Sarah Wood unpicks the secrets behind building a modern marketing businesses and foretells a more emotional future for targeted marketing. Founded in 2006, Unruly is now 200 people-strong has offices in markets across the globe. It’s an impressive growth story for a business right in the middle of UK’s Tech City and for these reasons Sarah Wood, founder of the social video company, is one of Marketing’s Digital Mavericks judges. It’s also why she was invited to speak at a panel at Advertising Week on having the ‘tech factor’. Many big brands are finding themselves paying over the odds to bridge another dichotomy in trying to emulate some of the culture and agility that businesses like Unruly boast. Diversity is one way Wood’s says Unruly maintains the culture that it started out with. "You can never have too much diversity, it allows you to make better decisions and make things happen faster. Culturally as well, it’s important to have diverse teams. Some 80% of purchase decisions are made by women, yet 95% think advertisers don’t understand them. There’s no better a chance you can have as a brand to genuinely connect. There’s definitely an empathy gap," she said. In chasing big business agility, many brands are seeking partnerships with smaller firms. But does matching big business and start-ups always work? In specific reference to media agency Starcom Mediavest’s brand and start-up matchmaking scheme, Wood welcomed greater collaboration between big brands and smaller businesses. "We welcome anyone, what you guys do is fascinating because it’s very targeted. A lot of people go into it with no understanding of how and why it should happen, you need a clear framework so the matchmaking is targeted to a brand's’ specific needs. We might be small but we can solve big problems. Don’t look at working with start-ups as a bit of extra on the side or the cherry on top, we can solve your biggest problems," she said. Unruly have this week launched a new product which attempts to solve a big problem for brands; linking emotional marketing with data-led targeting. 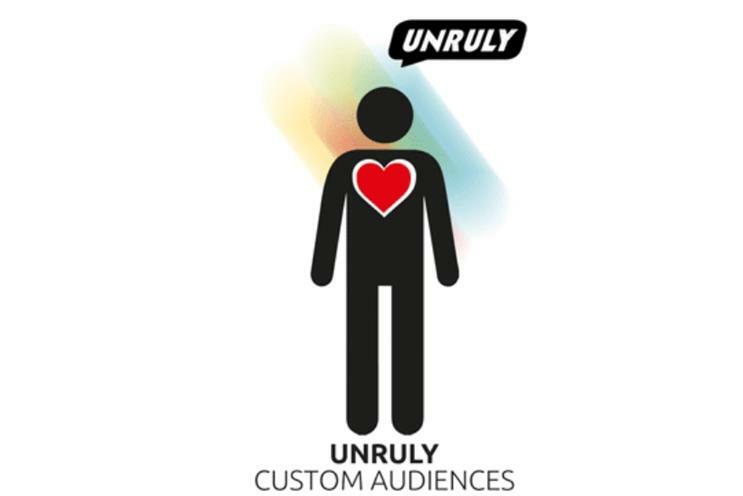 Unruly Custom Audiences is a new tool which uses data to help predict and target video ads to the right people, based on how emotionally susceptible they are likely to be to the ad. The new service uses Unruly’s ‘Share Rank’ data, which predicts how well a video could do based on emotional triggers, and couples it into programmatic technology to get the video ad in front of the targeted person.